The sale is always a lot of fun, but we have a few extra reasons to come this sale this year (other than the incredible deals). We love fun booths. We love how they let people let loose, show their inner happy. And we love how at the end, we are part of a collective experience, all captured in a set of goofy shots. 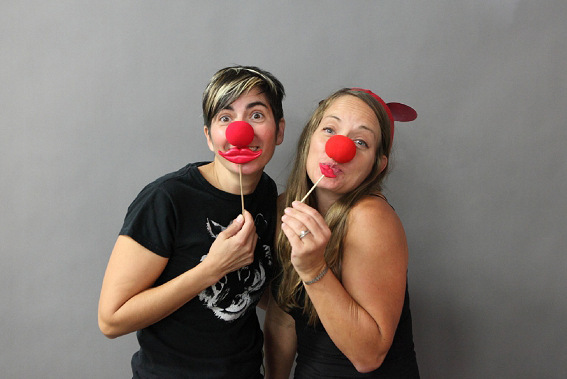 So, come join the First Moments Photography photo booth during the Half-Price sale on Sunday, April 21 (8am-1pm)! It will be set up so that you can pop in while you are in line (something to do while you wait!). Show off your favorite Half-Pint find in your bag. Bring your babe and get a nice shot of the two of you together (if you are like us, there aren’t enough of those!) or even bring your whole family to shop the final deals and get in on the fun together! No matter what mustache you pick or hat you don, all participants can sign up to win a Half-Pint Gift Certificate for the Fall 2013 – AND post sale, you can download your picture and share it with your friends on facebook. You’ll come have fun, won’t you?